In our continued investigation into holiday rental licences in Spain, we spoke to the Galicia Tourist Board to find out if it was possible to apply for a holiday rental licence in the region and how an owner should go about it. Firstly, we can confirm that the option to rent your privately owned holiday home as tourist accommodation is open to homeowners. The application process is a fairly simple one, although your property will need to meet the guidelines as set out in the Decreto (Decree) 52/2011, 24 de marzo. It is not necessary to set up as a business to apply for the licence, however, from the moment you apply for your licence, the title holder of the property is registered as a ‘tourism professional’. The licence gives you the right to legally advertise your property as a holiday rental, through on and offline channels. Private holiday homes will be registered under the single category of ‘Vivendas Turísticas’. Where as apartamentos turisticos have quality categories of 1, 2, and 3 llaves (keys). Your holiday rental must incorporate a lounge/dining area, kitchen, bedroom and bathroom. Studio apartments can only be registered as an ‘Apartmento Turístico’. House rules: If you create a set of rules and regulations for your house guests. These rules must be available in a visible place in your home. Rubbish collection: Your property should have access to daily rubbish collection, or conform with the municipal regulations on rubbish collection. Heating and ventilation: Your holiday rental should incorporate some form of heating. Although if you are only renting it out between the months of June-September (inclusive), it’s not necessary to have it functioning during these months. Lounge/dining room, bedroom and kitchen spaces should all have exterior ventilation. Capacity: Your holiday rental should offer a maximum guest capacity of 10 persons. Based on number of bedrooms and beds offered. Minimum size for a single bedroom is 6m2 and for a double bedroom, 10m2. No more than two guests places can be incorporated into each bedroom or sleeping space. If you provide a sofa-bed in your lounge, then your lounge should be 25% larger than the minimum square meterage as specified in the decree. Cleaning, bedding and linen: It is not the owner’s responsibility to clean the rental when it is occupied with guests; unless there is an agreement in place to do so. However, there must be sufficient bedding and towels to change every seven days during a guests’ stay. Living/dining room: The space should be a minimum size 8m2 and commensurate with your maximum guest occupancy. It should be furnished adequately for guest use. Kitchens: Must be equipped with crockery, glassware, cutlery, cookware, in sufficient quantities for the maximum number of guests your property accommodates. Plus you will need to have a washing machine installed and provide an iron. Bathrooms: Must be installed with wash basins, a bath or shower, toilet, mirror and powerpoint, towel rail and shelf or cabinet. Sufficient bath linen for maximum number of guests must be supplied. If your holiday rental offers accommodation for 6 guests or more, your home must have at least two bathrooms; with shower or bath, wash hand basin and toilet in each. Please be aware that 'Apartamentos Turísticos' are subject to varying requirements. More detailed information on property requirements for both Vivendas Turísticas and Apartamentos Turísticos can be found in the decree. The first step is to present your intention to run the property as a holiday home, requesting a licence and application. This is called the Declaración Responsible (Declaration of Responsibility). An application form is provided, in which you will need to certify that your home meets with all the standard criteria as laid out in the decree and affirming that you will uphold that criteria for as long as the home is run as a holiday rental. You can make this presentation within any regional tourism department i.e. A Coruña, Lugo, Ourense and Pontevedra. Note, it’s not possible to apply for the licence within your municipal town hall (ayuntamiento). However, if you have an electronic signature you can present your application online. There is a registration fee payable on presentation of your application. We are unable to confirm the cost at present. Information on application costs is available by calling the A Coruña Tourism Department on 981 184 683. 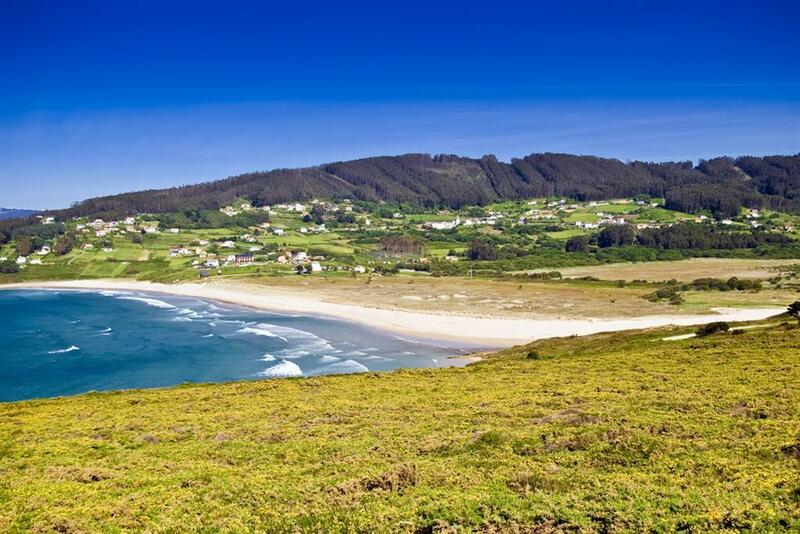 From the moment you present your application, you are now obliged to abide by the Tourism Law and the regulations set out in the decree for holiday rentals (Vivendas Turísticas) in Galicia. Once your application has been processed you will be designated a licence registration number by your regional tourism department. You should receive confirmation of your application and the number within 15 days of the application being processed. Once you have received your licence registration number it must be clearly presented on a plaque, on the exterior of your property. It must be displayed within one month of receiving your registration number. Your local tourism department can confirm the specification and size of these plaques. All private holiday rentals are registered in the category of ‘Vivienda Turistica. If you are applying for a licence for an ‘Apartamento Turístico” then your rental would receive a quality category of 1, 2 or 3 keys. In which case you will be obligated to a pre-application inspection and further checks to ascertain the quality of your property and that it complies to regulation standards. The whole process from presentation of application to receiving your category status should take a maximum of three months.